Welcome to the AcoustiCats web page. 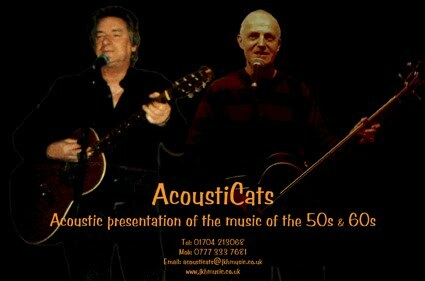 AcoustiCats perform a fabulous repertoire of favourite songs from the 1950's, 60's & 70's. JKH Music Productions © 2011. Simple theme. Theme images by Brasil2. Powered by Blogger.